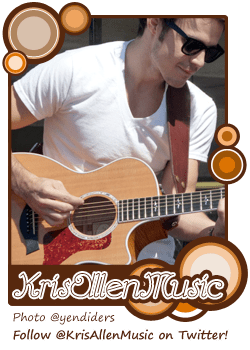 As fans of Kris Allen are well aware, Kris is no stranger to giving back. In honor of one of his charitable passions, helping impoverished children, we celebrated his birthday in June with over $25,000 in donations to Heifer International. Heifer is an amazing organization that works to combat poverty and hunger around the world. 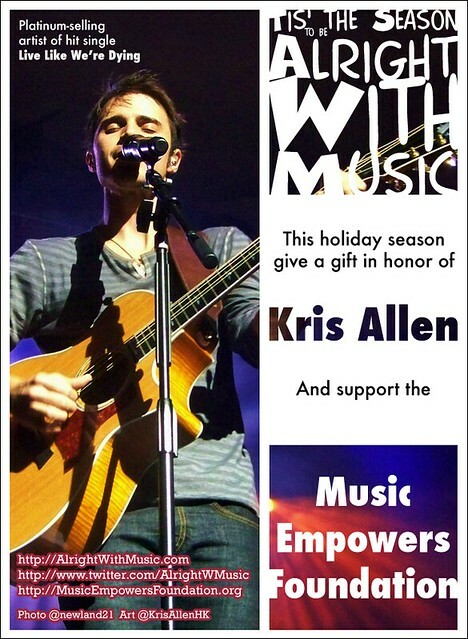 Another one of Kris’s charitable passions is music education programs for children. Inspired by his contributions in this area over the last year, we are turning our fundraising efforts this holiday season to Music Empowers Foundation. We are thrilled to be partnering with Andy Davis, founder of Music Empowers, in this effort. Because it’s late, my brain is not exactly working anymore, you get to choose the design instead of me. If you need the banners / buttons in different sizes, leave a comment here or tweet @AdamLambertHK2. Style 3 622×850 pixels at 72dpi.